Guidoni Group brought to Expo Revestir the Imperiale Collection of Brazillian natural marbles and new Topzstone Urban Marble patterns. 21.03.2019 Guidoni Group – the largest exporter of ornamental stones in Brazil and a global reference in the sector – has more than 25 years of experience in the processing and export of natural and industrialized components to more than 70 countries on fice continents. 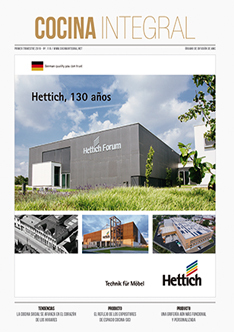 All this know-how leads to a large and wide portfolio, aligned to the main world trends of architecture and design, based on the latest technologies in coatings. This premise is one of the foundations of the new portfolio presented by the brand at Expo Revestir 2019, which took place from March 12 to 15 at the Transamerica Expo Center in São Paulo. For the 17th edition of the event, the Group bet on two major launches. Among the portfolio of natural surfaces, the company presented the new family of Mato Grosso marbles that exalt a neoclassical style in neutral chromatic variations, in a contemporary and very urban design. In addition to the deposit complex in Mato Grosso, Guidoni has more than 40 own active deposits in Brazil, located in the states of Espírito Santo, Bahia, Minas Gerais, Rio de Janeiro, where it extracts different natural surfaces such as marbles, quartzites, exotic granites and classic rocks. Another new feature was the diversification of patterns of Topzstone, a Brazilian brand exclusive of natural quartz surfaces, ideal for countertops and that can also page floors, walls, panels, staircases, carved sinks and furniture tops in general. For Expo Revestir 2019, six new models inspired by different imposing marbles came to expand the brand’s Urban Marble Collection. The novelties unite the purity of the natural quartz to the last generation technology, culminating in sophistication, beauty, technology and high technical quality. Topzstone is produced at the company’s manufacturing headquarters in São Domingos do Norte, ES, and in the exclusive manufacturing park in Spain. Consisting of Guidoni’s unique Mato Grosso marbles, the collection brings natural surfaces in chromatic nuances that transpire between shades of white, silver and gray, culminating in a unique and striking style. By concentrating the mineraldolomite, the surfaces have high mechanical and chemical resistance, being able to be applied freely in indoor floors, as well as in wet environments, vertical panels and also in the execution of diverse furniture. Among the novelties, the Maximus marble – name inspired by the Roman emperor Petronius Maximus (396 AD to 455 AD) – stood out, giving an architectural look of magnitude and magnitude to spaces. In a poetic re-reading of the natural surfaces, the launches are inspired by the aesthetically striking marbles – like Calacatta and Statuario – to bring a touch of sophistication and magnitude. The new patterns feature contrasting veins and nuances with the surface background, interspersing intense tones and softer and more neutral tones. 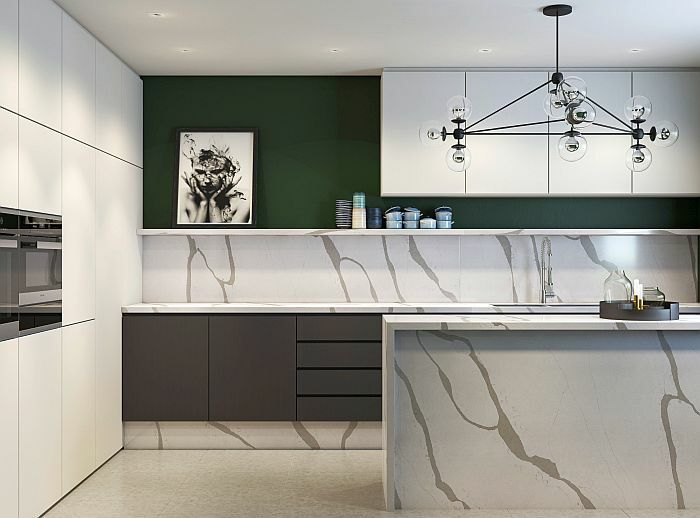 Another launch of the collection was the Topzstone Calacatta Misty, a strong personality surface that becomes prominent in minimalist and monochromatic spaces, bringing a touch of boldness to the decor. The novelty features a soft base with dense veins intertwined in dark gray. With 135 m², the booth signed by designer Joseane Cabral brought to life the wide and complete Guidoni portfolio, extolling the beauty, versatility and design variety of the company’s natural and industrialized surfaces. The launches and bestsellers were paginated at different times: walls, flooring, panels, porticos, sinks and sculpted benches demonstrated, in real time, Guidoni expertise in offering complete and unique solutions for different residential, business and commercial ambiences. That booth also had an intimate gourmet space that serves as a stage for exclusive gastronomic experiences for visitors, offering from a special tasting of Italian wines to a dedicated menu of typical Italian dishes. The activations combined with Guidoni’s launches, inspired by the historical, classic and natural grandeur of the European country.